This week is certainly a celebration for us all here at VentureUK. We have reached a huge milestone of 10k followers and we couldn’t be happier. What an achievement! So, to thank everyone for their continued support we decided to up our game and offer a bundle giveaway. This week we are giving away not one but FOUR prizes to one lucky winner. In the bundle we have a set of kick mats with tablet holders to keep your seats clean and free from muddy feet and protect your little ones device, a baby car mirror so you can keep your eye on your baby whilst they are rear facing, a heavy duty car seat protector to protect your seat from depression damage, spills, scuff marks and more and lastly a set of our popular sun shades to make the car ride comfortable for your little ones. We had an amazing response and we have loved reading everyones favourite things about spring. It really did make us smile and I think it’s safe to say we are all looking forward to the warmer weather to make getting out and about easier with our children. The endless days in the sun at the park, ice creams, paddling pools and of course barbecues! The winner is… ‘pamgregory1969’ Congratulations! Please dm us with your details and we can arrange getting this fabulous prize bundle out to you as soon as possible. Our giveaway prizes are all items that we stock and are available for immediate dispatch. Why not come take a look! Spend over £19.99 to qualify for FREE UK delivery. 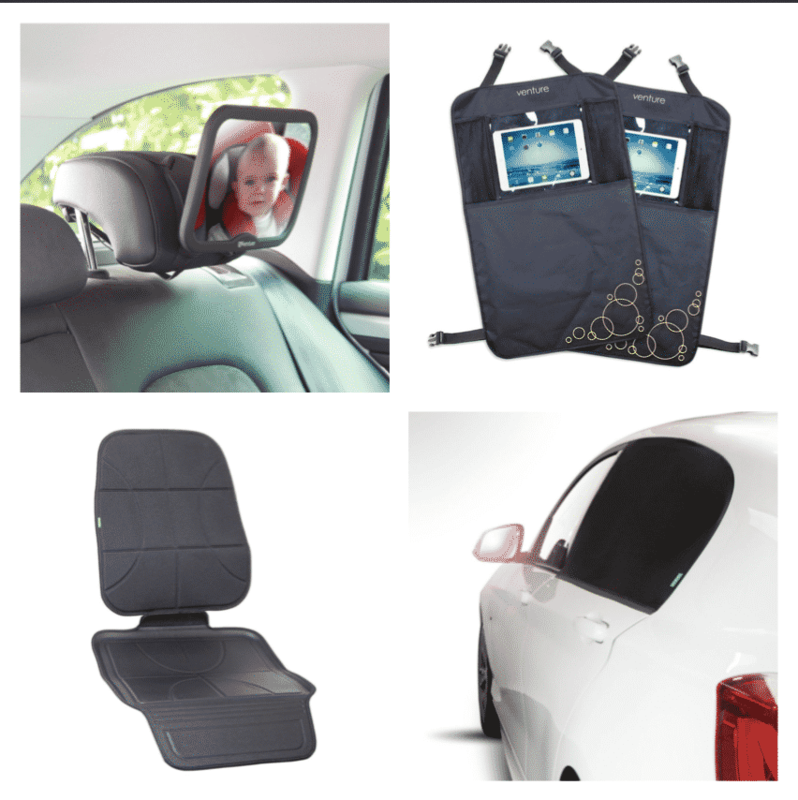 Our car accessories make a comfortable ride for you and your little ones!